Your day is tough, fun, exciting... and long! Take on the day with high-performance, life-proof makeup that's as tenacious as you. 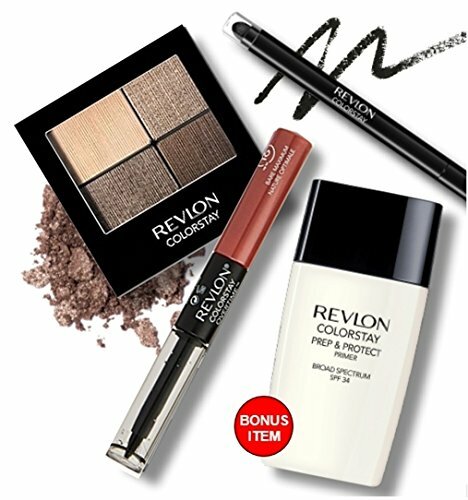 Bundle includes (1) Revlon ColorStay Eye Liner in Black, (1) Revlon ColorStay Overtime Lipcolor in Bare Maximum, (1) Revlon ColorStay 16-Hour Eye Shadow in Addictive and (1) BONUS ITEM- New! ColorStay Prep and Protect Primer that preps, conditions, and controls oil for up to 24 Hours. Revlon is a global leader in cosmetics, hair color, fragrances, skincare, and beauty care products. One of the strongest consumer brand franchises in the world, Revlon's products are sold in over 100 countries across six continents. Revlon revitalized the industry over the years with iconic nail and lip colors and with breakthrough technology like ColorStay transfer-resistant lipstick and makeup. 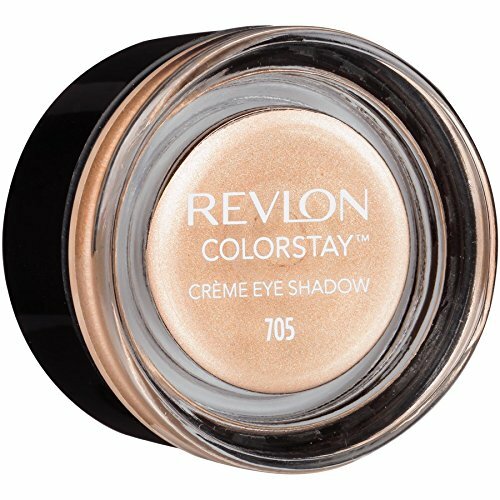 The Revlon ColorStay Crème Eye Shadow is a luxurious, vibrant crème eye shadow that lasts up to 24 hours. The ColorStay technology with strong flexible polymers creates a waterproof film for longwear. 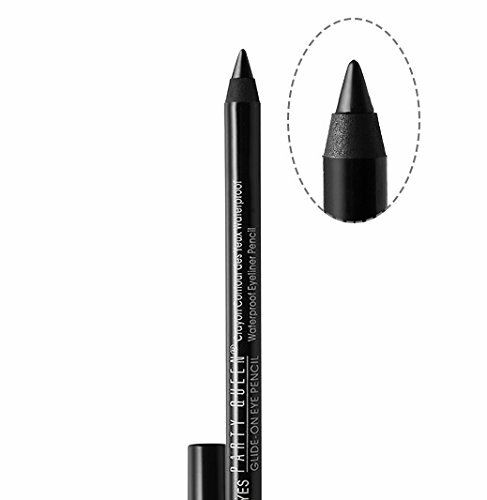 The pro-inspired, built-in brush provides an easy, mess-free application. 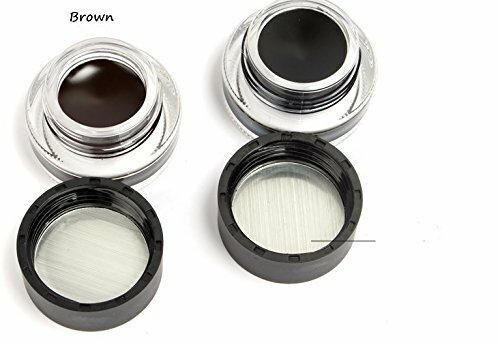 This eye shadow comes in a variety of colors and finishes. Mix and match to create your collection of perfect color combinations! Revlon is a global leader in cosmetics, hair color, fragrances, skincare, and beauty care products. One of the strongest consumer brand franchises in the world, Revlon’s products are sold in over 100 countries across six continents. Revlon revitalized the industry over the years with iconic nail and lip colors and with breakthrough technology like ColorStay transfer-resistant lipstick and makeup. * Claim based on Nielsen Scantrack Service for long wear brands for YTD WE 12/31/2016, Total US and xAOC. Copyright 2016, The Nielsen Company. Enhance your look! Get Gorgeous, natural-looking lashes effortlessly in an easy-to-apply strip lash with Revlon Beyond Natural eyelashes. With various styles available, each with a different length and volume, you can easily customize your lashes. 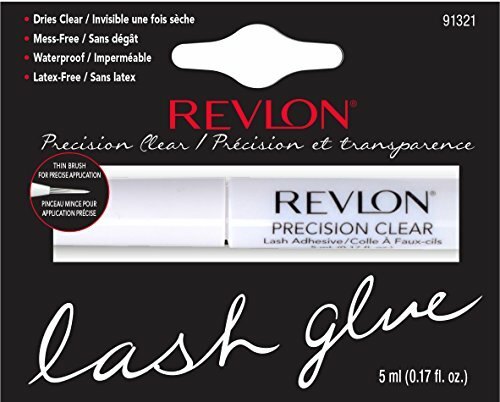 This Bundle contains: 1 Revlon Precision Lash Adhesive, Dark. 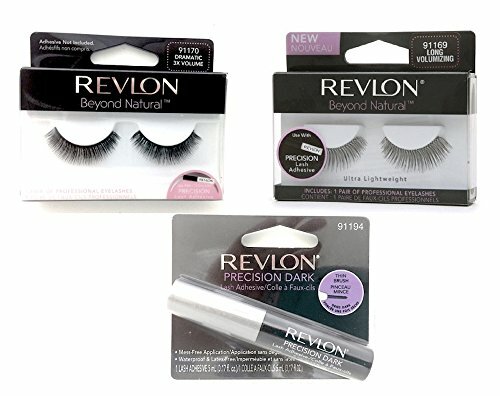 1 Pair Revlon Beyond Natural Eyelashes, Long Volumizing (91169). 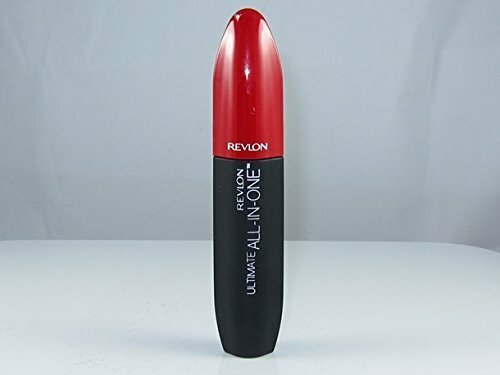 1 Pair Revlon Eyelashes, Dramatic 3X Volume. 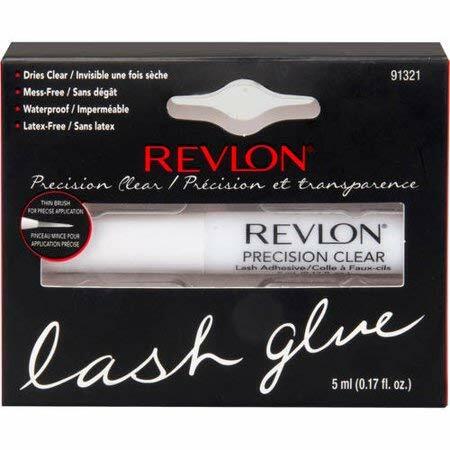 Revlon Precision Lash Adhesive can be used to apply artificial eyelashes. It is waterproof, it has an ultra-thin brush, dries clear, and is latex-free. Revlon Beyond Natural Lashes Dramatic 3x Volume Style 91170, give you a stunning yet natural look without using human hair. The beautiful false lashes are fully synthetic. Revlon Beyond Natural Lashes Long Volumizing Style 91169 are long and voluminous, giving you a bit more length and volume than your own natural lashes. Shopping Results for "Revlon Waterproof Primer"